CableGrid Australia is the exclusive distributor in Australia and New Zealand for EMELEC’s comprehensive range of link boxes. 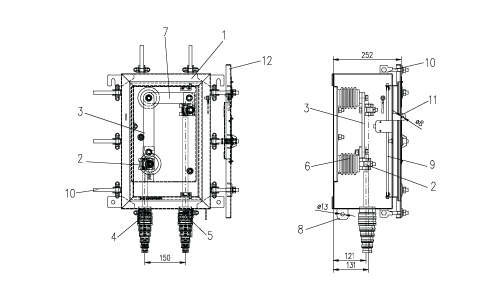 CableGrid has an extensive range of various design and sizes of link boxes for multiple applications, please advise us should you required link boxes which are not displayed below. 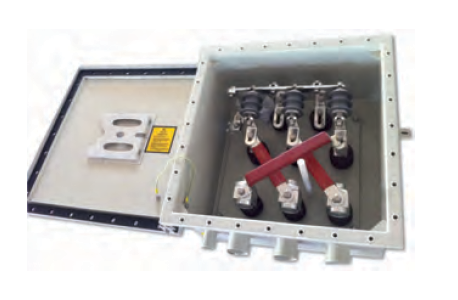 Link Box is electrically and mechanically one of the integral accessories of HV underground cable Bonding System, associated with HV XLPE power cable system. 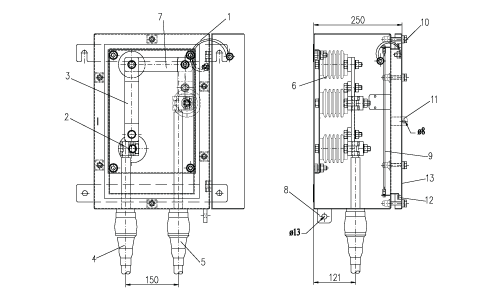 Briefly the Bonding System is so designed that the cable sheaths are bonded and earthed/grounded in such a way as to eliminate or reduce the circulating sheath currents and to limit standing induced sheath voltages for human safety , and also during any internal fault or short circuit of the system , short circuit current flows directly to the earth through link box. 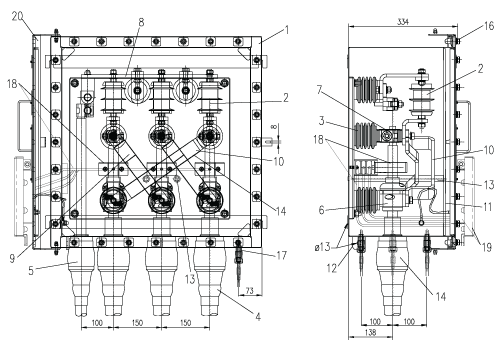 The induced sheath currects are undesirable because they cause heat losses, which reduce the current carrying capacity, a very important design consideration in a big power transmission cable system investment. 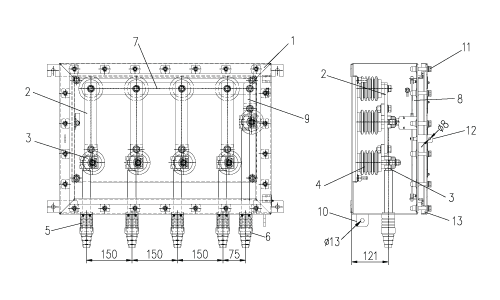 Generally Link Box implies close association with insulated joints (interrupted sheathing design) of a long power line serving as a protective housing safeguarding all the related bonding linkages and components for long reliable service life. 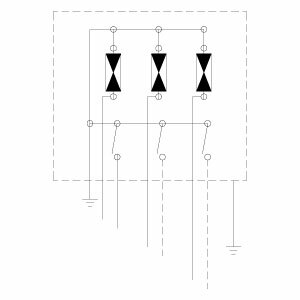 They are also installed at both ends of a circuit connected to terminations. 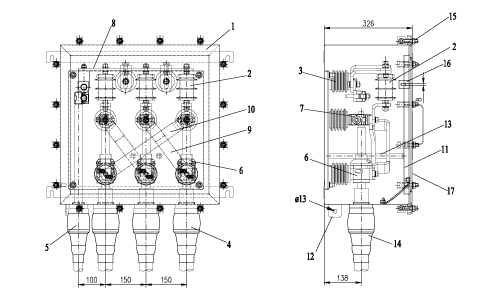 At each point, electrically the internal design configuration and installed components are different serving a definite bonding purpose. 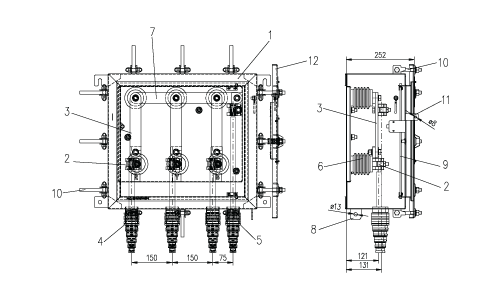 The internal connections/links are of easily removable design, which can be easily removed; thus allowing disconnecting the individual cable sheaths for Sheath fault testing, establishing the integrity of sheath; that is no cracks/cuts or holes as a result of mishandling during cable laying. CableGrid has an extensive range of link boxes for multiple applications, please advise us should you require a link box that may not be displayed below. 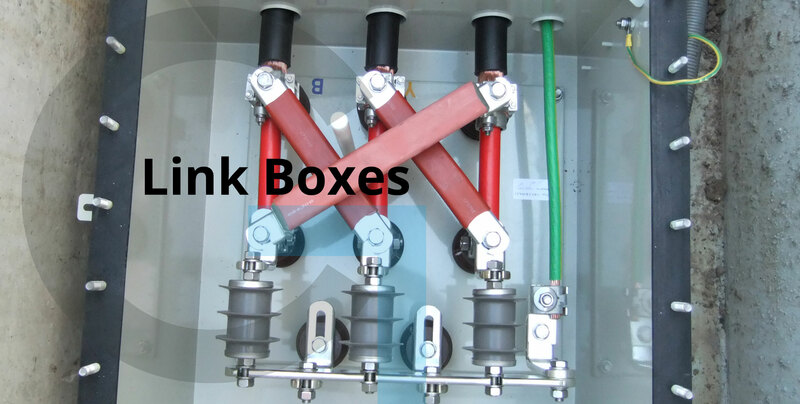 Link Box, a box in which bonding or grounding connections, are made through removable links, and also contain arrestors functioning as sheath voltage limiters (SVLs), depending on the bonding requirements. 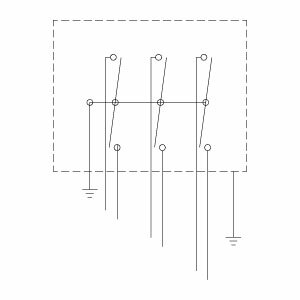 The SVL is a non-linear resistor protective device having characteristics of a high impedance to currents flow when the voltage across it is low, but extremely low resistance when the voltage is high. 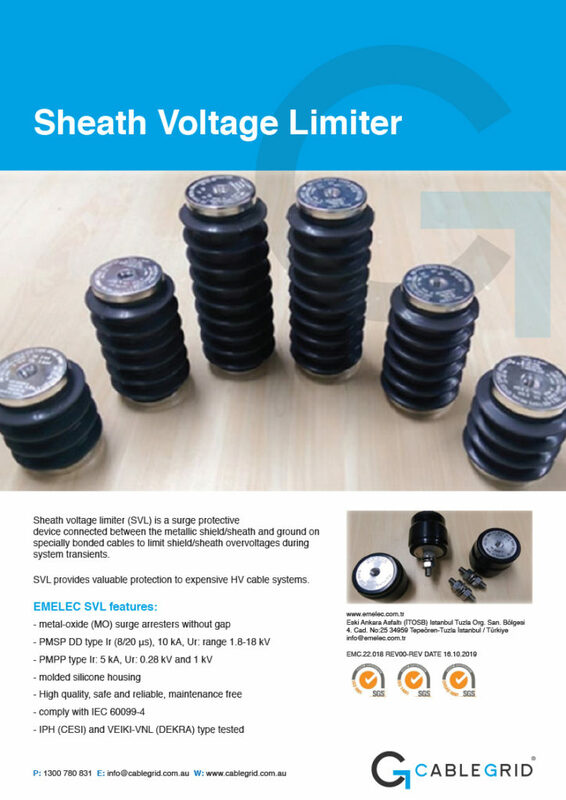 SVL is a protective device to limit high voltage surges appearing on the open circuited sheaths of specially bonded cable system suspectible to transient voltages; arising from lighting or switching transients, and the most serious case of short-Circuit Current. 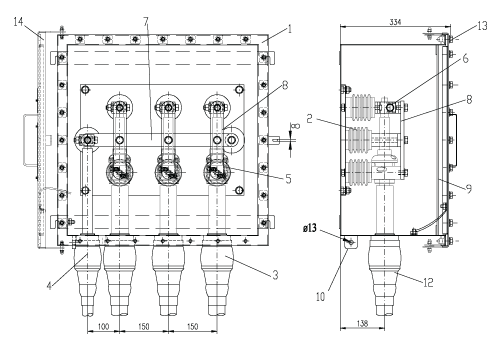 It is necessary to fit SLV’s between the sheath and ground. 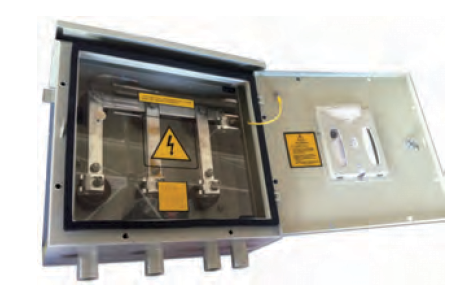 This new type of partial discharge sensor is specially designed for use in Link Boxes. 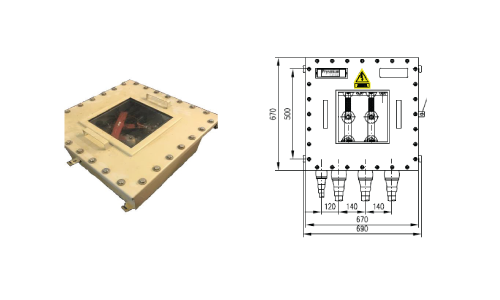 PD testing (offline and online measurements) in cable joints and termination now available by using these sensors mounted in earthing/cross bonding link boxes. 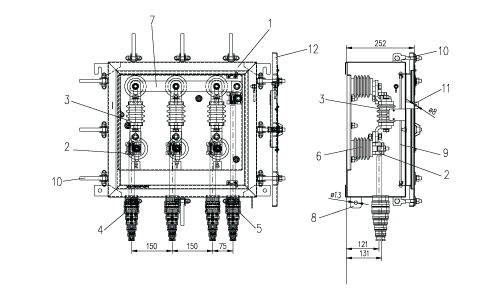 This sensor also can be used as voltage divider for measurement of induced voltages in bonding system of high voltage cable systems. 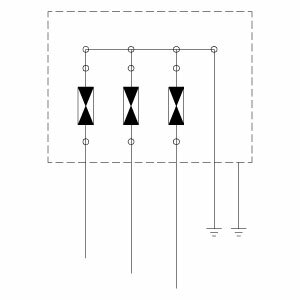 It can be also used to provide synchronization signals for PD measuring devices. 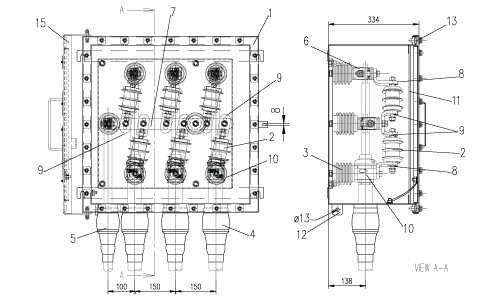 Also, it can be used for counting number of lightning impulses passing through sheath voltage limiters inside link boxes so condition monitoring of SVL is possible. 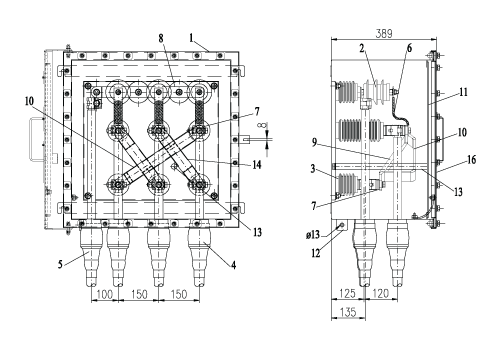 Two BNC outputs are available on the base of insulator which are voltage divider output and PD sensor output. 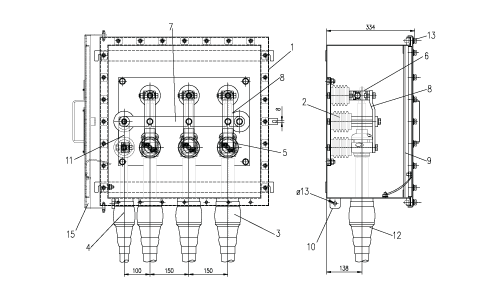 So, signals are ready-to-use for measuring systems, counters or monitoring systems. 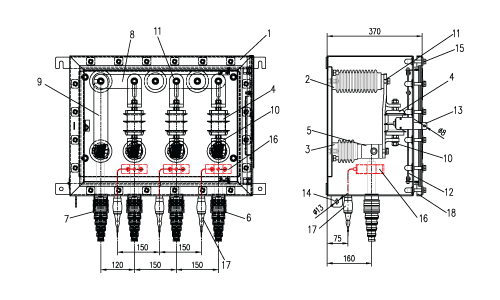 This system can get signals from a terminal box mounted on lid of link boxes or alternatively from a separate terminal box. 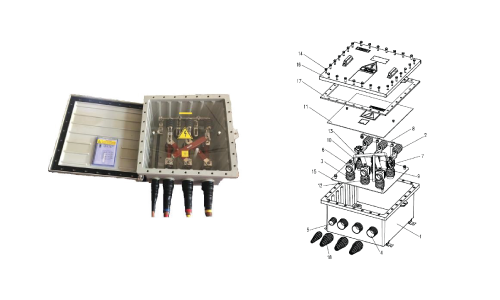 This product also contains a high frequency current transformer (HFCT) to pick up PD signals from high voltage cable screen. 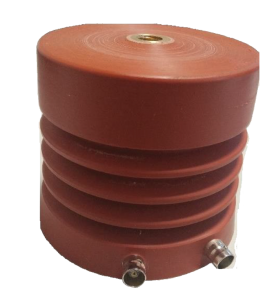 Specially designed ferrite core and primary and secondary windings provides a high performance partial discharge sensor for range of 40-800 kHz. New product has some advantages rather than other HFTC’s mounting inside link boxes including compact size, no effect on lightning performance of link box, no need to extra accessories for mounting and being low cost. 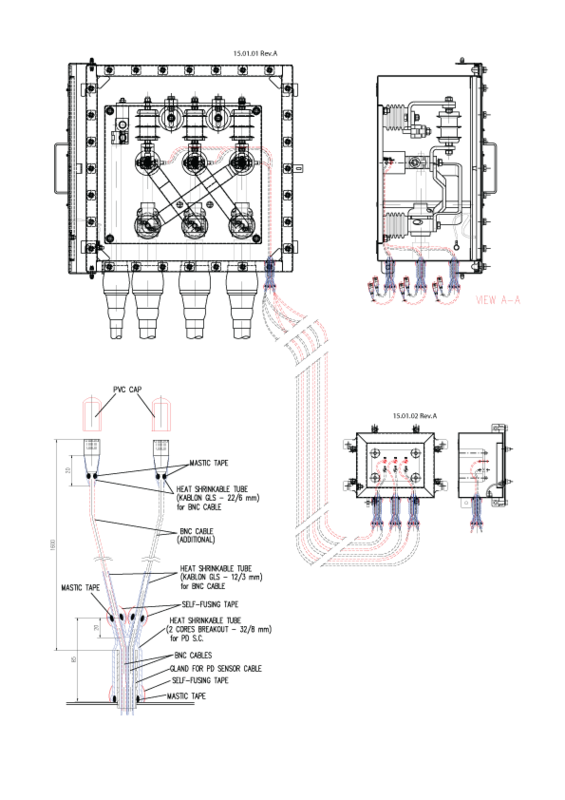 This product has been tested to evaluate its electrical and mechanical performance. 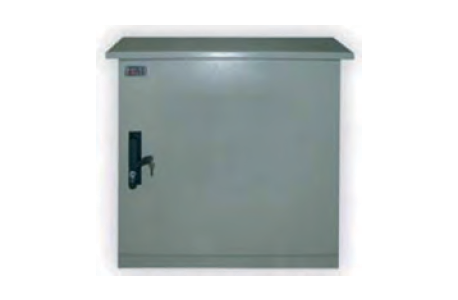 It can withstand AC, DC and lightning overvoltages which may face during its operation in link box. 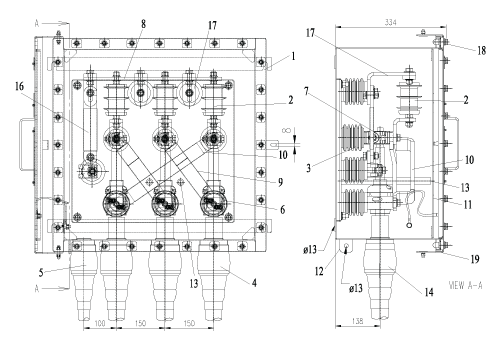 It can also can withstand electromagnetic forces during short circuit currents in link boxes.